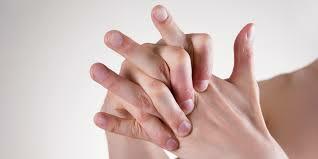 Poor blood circulation in hands can cause several problems including tingling, weakness, and numbing. So many underlying conditions may contribute to poor hand circulation. The most common causes are obesity, diabetes, low temperatures, heart diseases, alcohol, smoking, and tumors along the nerves. Nutritional deficiencies and diseases like Raynaud's syndrome, arteriosclerosis, and Buerger's disease can also cause poor blood circulation. To learn how to improve circulation in hand, it is important to identify the underlying cause first. You can try some natural remedies to improve circulation in hand. Let's find out more now! Knowing how to improve circulation in hands will help make your condition more manageable. Here are some steps to take. Maintaining an active lifestyle will help improve overall blood circulation in your body. Exercises like wiggling, rotating, and flexing your fingers and toes will help. Grab your bike and enjoy a good ride, or simply go for a short walk after work. Be sure to mediate and learn some breathing exercises to reduce stress levels and improve blood circulation. Work with a massage therapist to improve your blood circulation. You can also learn self-massaging techniques to massage on your own. You may consider using cypress, lavender, rosemary, or grapefruit essential oil to make your massage sessions even better. Avoid caffeinated and alcoholic beverages and include water in your diet. You can also enjoy lemon and ginger tea to improve circulation. Fresh fruit juices like watermelon and sweet lime will also help. Drink plenty of water to keep your body hydrated, improve digestion, and make minerals available to your body. It also helps eliminate waste products from your body. Keeping yourself warm is one of the ways about how to improve circulation in hands. You need to wear socks and gloves to protect yourself in cold weather. Rub your hands together and avoid exposing them to cold surfaces. Be sure to wear right footwear to keep you comfortable all the time. You may consider losing weight if you are overweight. Obesity may well be the reason why you have poor circulation in your hands. The excess fat increases pressure in arteries and restricts blood circulation. Follow a strict diet and work with a professional to lose weight in a healthy way. This involves taking a shower while alternating between hot and cold water. 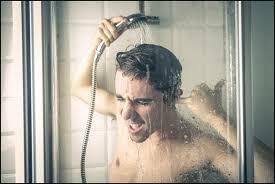 Your lymph vessels contract when you let cold water run through your skin, but the hot water will dilate those vessels. This leads to a pump effect that promotes lymph drainage and improves blood flow. Tobacco use may well be the reason why you have poor blood circulation in your hands. When you smoke, you inhale toxins that enter your bloodstream and make your blood thicker. This in turn increases your chances of developing blood clots that will raise heart rate and blood pressure. This may also cause your arteries to become narrow, which in turn will restrict the amount of oxygen-rich blood reaching your organs. Simple hand stretches like extending your fingers until you feel a stretch and holding the position for a couple of seconds before clenching your hands into fists will help a lot. You can perform these stretches several times throughout the day to improve blood circulations in your hands. 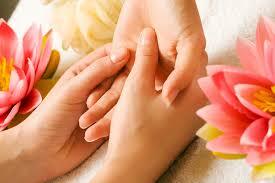 Knowledge about how to improve circulation in hands will help you live a more comfortable life. While the abovementioned steps will definitely help, it is important to pay attention to your diet as well. Here are some foods you can try to improve blood circulation in hands. Oranges: Include oranges in your diet to improve your vitamin-C intake. Vitamin C works as blood thinner and also strengthens capillary walls to promote good circulation. Dark Chocolate: Flavonoids in cocoa may help improve blood circulation, and these flavonoids are plentiful in dark chocolate. Cayenne Pepper: Available as dried spice and fresh pepper, cayenne pepper helps improve your metabolic rate and strengthen blood vessels as well. You can add it in your salads to enjoy its benefits. Sunflower Seeds: Packed with vitamin E, sunflower seeds prevent blood clots and promote blood circulation. Pumpkin seeds are also a good source of vitamin E.
Root Ginger: Include root ginger in your diet to prevent digestion problems and improve blood circulation. Simply have a cup of ginger tea to enjoy all its benefits. Garlic: Including garlic in your diet will help cleanse the blood and eliminate any plaque buildup. This in turn will improve circulation in your hands. Ginkgo Biloba: Try this spice to improve blood circulation naturally. It dilates your blood vessels and improves blood circulation, not only to your hands but to your brain as well. Goji Berries: Available in natural health stores, they look quite like raisins and are packed with fiber. They help improve your immune system and improve your blood circulation as well. Watermelon: Eating watermelon is another way about how to improve circulation in hands. It contains a natural antioxidant called lycopene that helps improve circulation. Salmon and Avocados: Food rich in omega-3 fatty acids will also help keep your cardiovascular system healthy. Increasing your omega-3 intake will also increase blood circulation. What Is Involuntary Muscle Movement?